Venue: National Museum of Scotland. 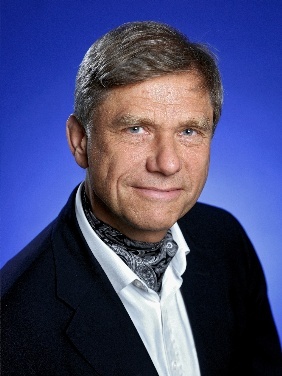 The 2014 lecture will be given by Dr Hermann Hauser, a physicist and a Fellow of the British Computer Society, the Royal Society, the Institute of Physics, and the Royal Academy of Engineering. Dr Hauser has a long, successful history of incubating IT companies, including UK computer maker Acorn Computers. The smartphone combined with the cloud. Ubiquitous computing and machine learning. Dr Hauser is a Fellow of the Royal Society, the Institute of Physics and of the Royal Academy of Engineering and an Honorary Fellow of King's College, Cambridge. In 2001 he was awarded an Honorary CBE for ‘innovative service to the UK enterprise sector’. In 2004 he was made a member of the Government’s Council for Science and Technology and in 2013 he was made a Distinguished Fellow of BCS, the Chartered Institute for IT. Hermann Hauser has honorary doctorates from the Universities of Loughborough, Bath and Anglia Ruskin.